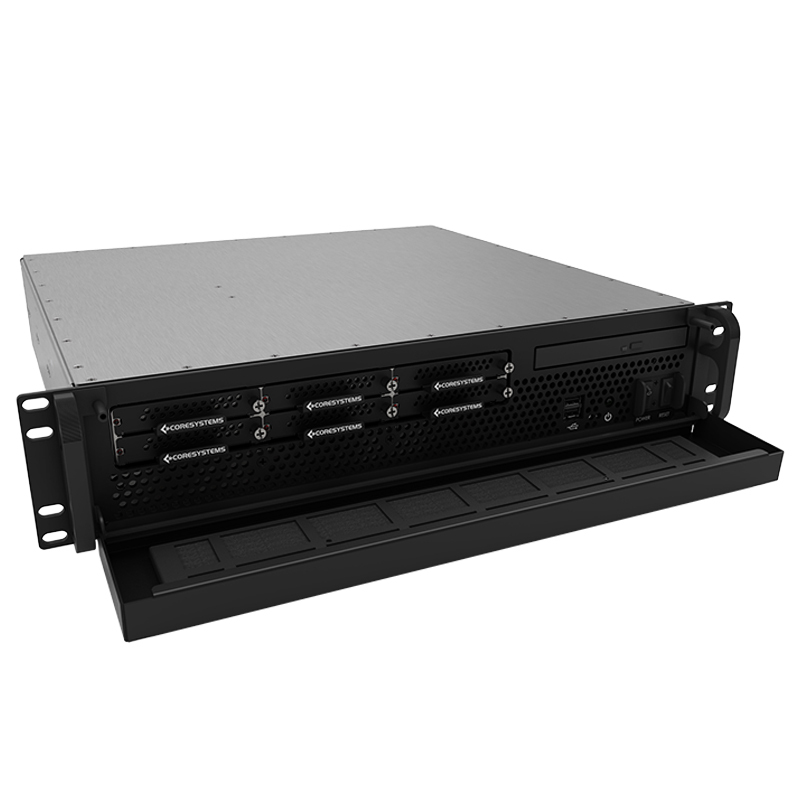 The M119S Raptor is a short depth 1U server made for applications with a sub 20” depth requirement. The aluminum sheet metal chassis provides a superior strength to weight ratio. The M119S rugged system has dual front accessible hot-swap drives and dual Xeon v4 CPU’s with the option of one additional rear accessible PCI card. All internal cabling is customized and secured to the chassis to optimize airflow and system cooling. 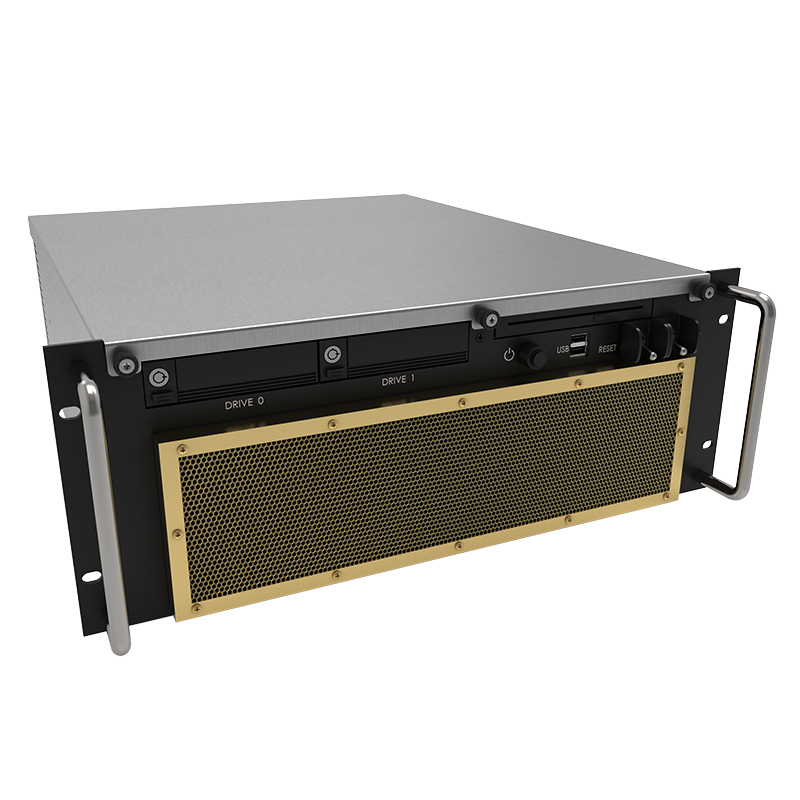 The M119S server is built to survive high shock and vibration environments. Options for conformal coating and EMI filtering are offered on each system. 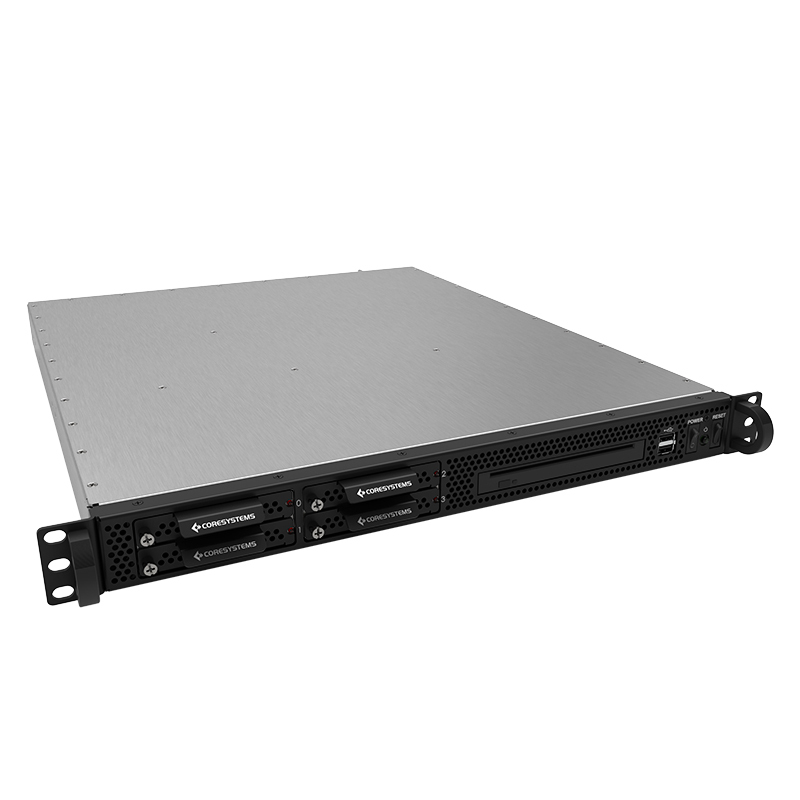 The M120 Raptor is a short depth 1U server made for applications with a maximum 20” depth requirement. The machined aircraft aluminum chassis provides a superior strength to weight ratio. The M120 rugged system has dual front-accessible hot-swap drives and dual Xeon v4 CPU’s with the option of one additional rear accessible PCI card. All internal cabling is customized and secured to the chassis to optimize airflow and system cooling. 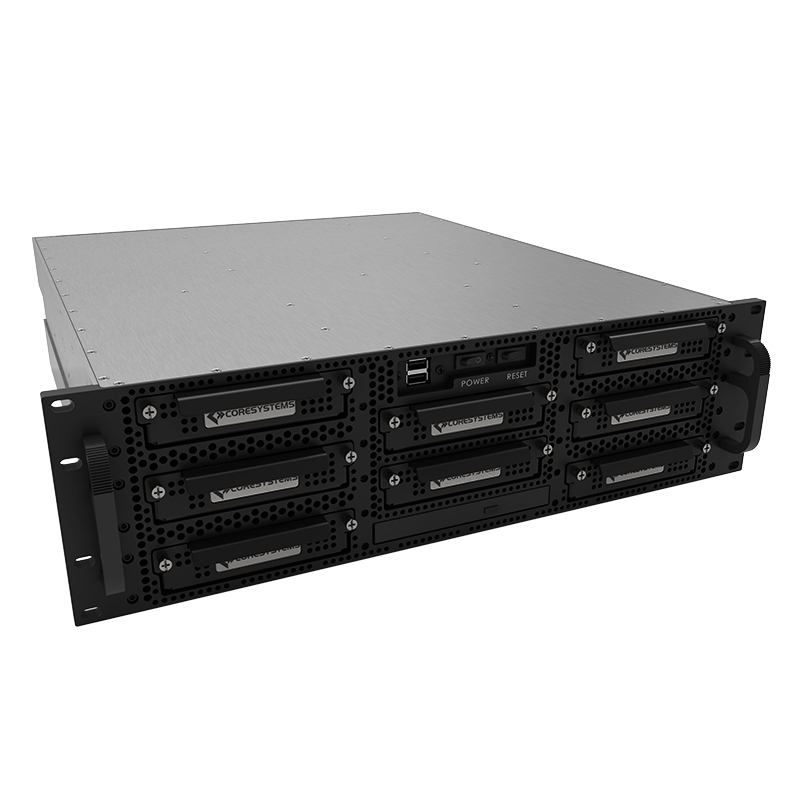 The M120 server is built to survive high shock and vibration environments. Options for conformal coating and EMI filtering are offered on each system. The M120S Raptor is a short depth server made for applications with a maximum 20” depth requirement. The aluminum sheet metal chassis provides a superior strength to weight ratio. The M120S rugged system has dual front accessible hot-swap drives and dual Xeon v4 CPU’s with the option of one additional rear accessible PCI card. All internal cabling is customized and secured to the chassis to optimize airflow and system cooling. The M120S server is built to survive high shock and vibration environments. Options for conformal coating and EMI filtering are offered on each system. The M320 Raptor is a short depth 3U server made for applications with a maximum 20” depth requirement. The machined aircraft aluminum chassis provides a superior strength to weight ratio. The M320 rugged system has eight front accessible hot-swap drives and dual Xeon v4 CPU’s with the option of six additional rear accessible PCI cards. All internal cabling is customized and secured to the chassis to optimize airflow and system cooling. The M320 server is built to survive high shock and vibration environments. Options for conformal coating and EMI filtering are offered on each system. The F420 Raptor is a rugged 4U server designed to be ultra light with enormous cooling power for flight operations (the F420 has been flight tested to 30,000ft. sustained altitude). The aircraft aluminum chassis provides a superior strength to weight ratio and was designed to meet MIL-STD 810F, 167-1, and 461E. The F420 features up to four shock mounted hot swap 2.5” drives (standard or SSD), 7 available full length slots with card hold downs, and 315 CFM of airflow. All internal cabling is customized and secured to the chassis to optimize airflow and system cooling. 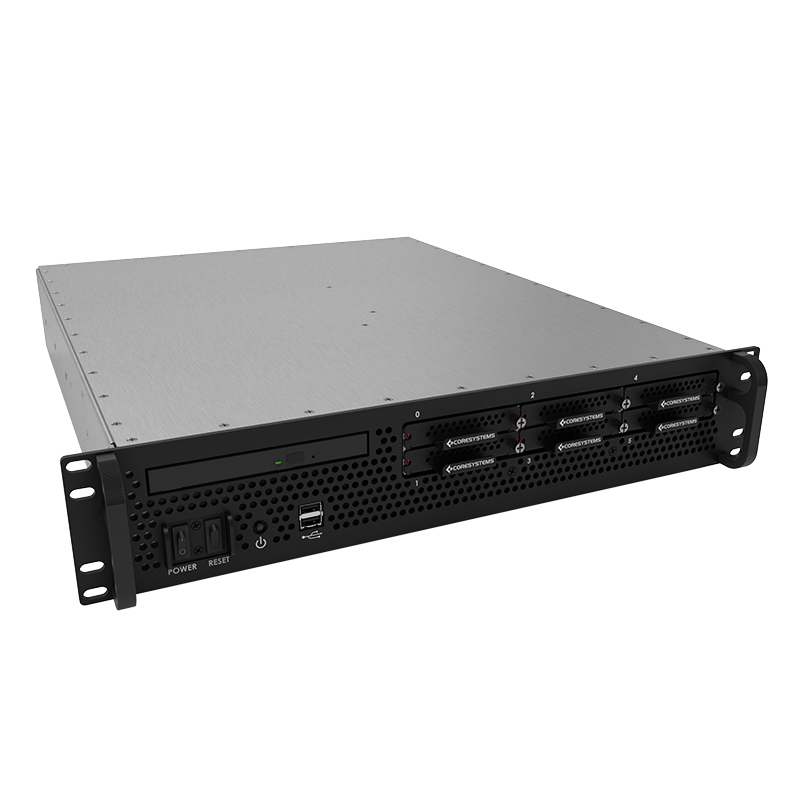 The F420 server is built to survive high shock and vibration environments and can be custom configured to meet specific program requirements.